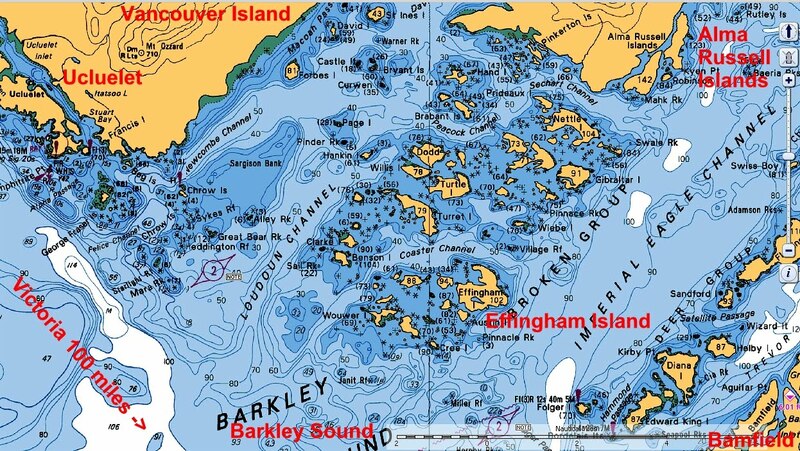 Barkley Sound is the ultimate cruising area. It is sheltered from wind and ocean swells. Beautiful anchorages are close and plentiful. 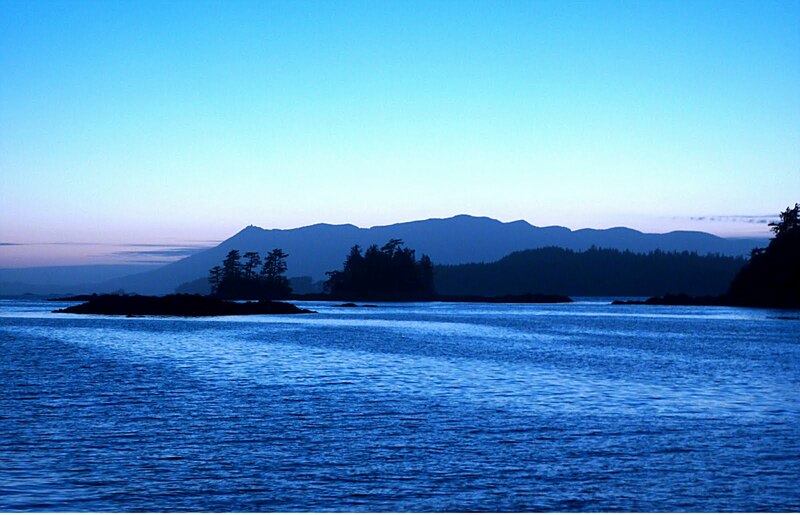 Eagles, whales and other animal life add beauty to an excellent sports fishing zone. 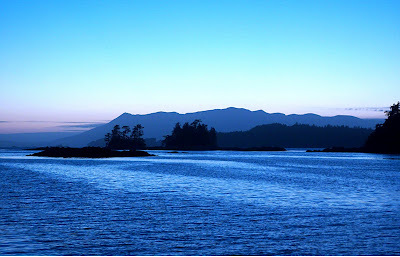 The supply centers of Ucluelet and Bamfield are close for provisions. 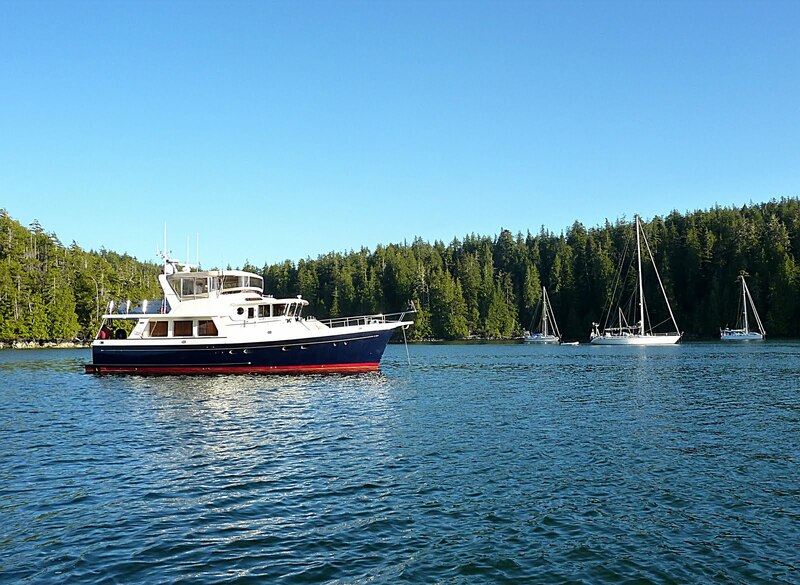 With all these attractions, the Sound is visited by numerous boats each season. 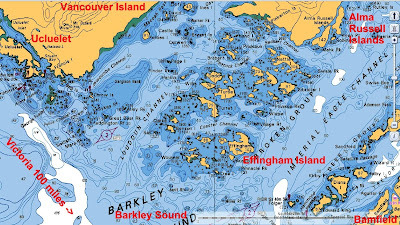 Barkley Sound is a cruisers paradise. 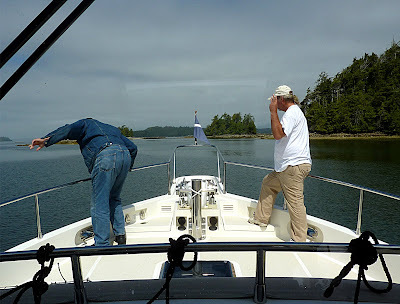 On Thursday morning we set out from Ucluelet for some fishing with Effingham Bay as our ultimate destination. It is a short, 60-minute motor, but we added 4 hours as we fished the points along the route. The boat's sonar showed lots of fish just off southwest end of Turret Island. We rigged the polls for bottom fishing and soon filled our cooler with numerous varieties. As is custom we released the small fish back, however in a few cases, before they could swim far, an eagle would pluck them out for his dinner. 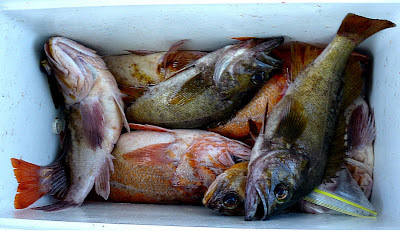 Half-filled cooler of bottom fish. 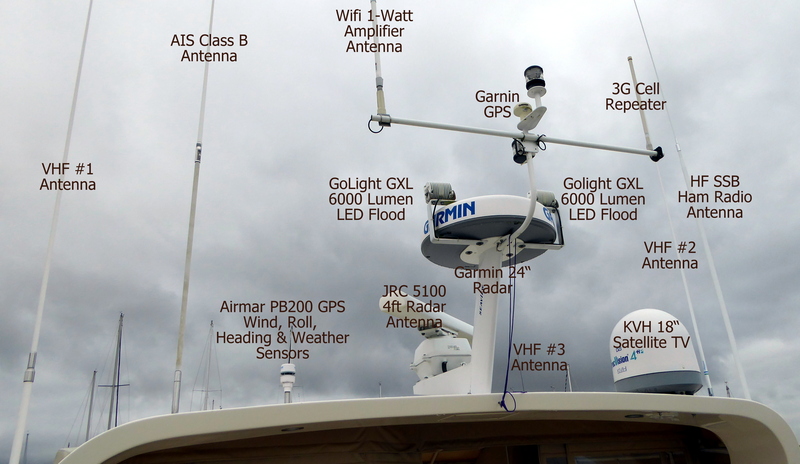 After several hours of fishing, we moved across the channel to Effingham Bay and anchored with several other boats for the night. Crew Willie cooked up a wonderful dinner of southern fried chicken. 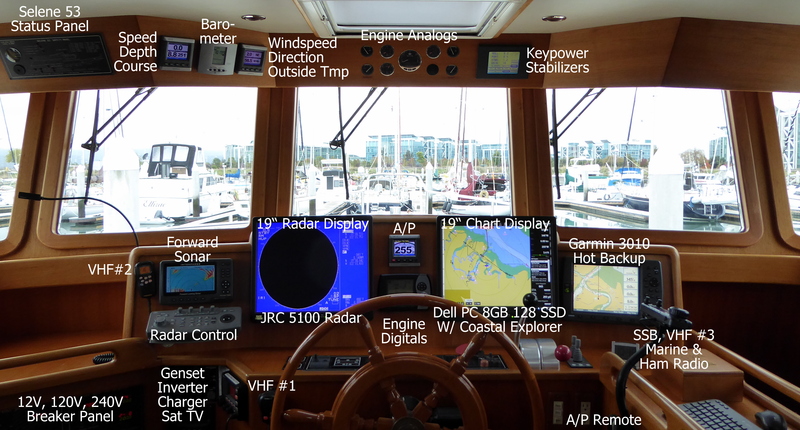 At anchor in Effingham Bay. 10:30PM on July 15th, 2010, over an hour after sunset from Effingham Bay. Crew Joe and Mike are ready for another day of fishing and help raise the anchor. Joe is directing the helmsman to position the bow over the anchor while Mike counts off the 25-foot red and white chain markers. These crew are maturing nicely and have easily adapted to the ways of the sea.